Tom and Cory Petcoff have been in commercial real estate since the mid 80s. 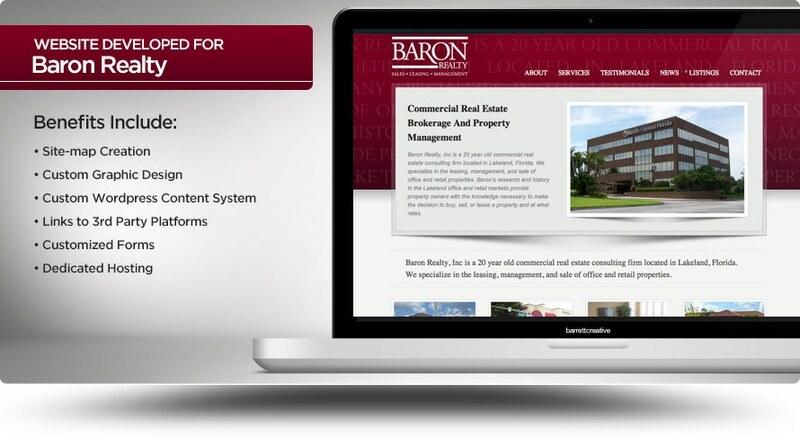 Baron Realty contacted Barrett Creative because they needed a website with a fresh look, an easy-to-manage admin area and improved search engine rankings, not to mention a great user experience for their clients. After creating a site-map based on their customers needs, we were able to create a beautiful website that’s incredibly easy to update, range great with search engines and gives potential buyers the information they’re looking for.